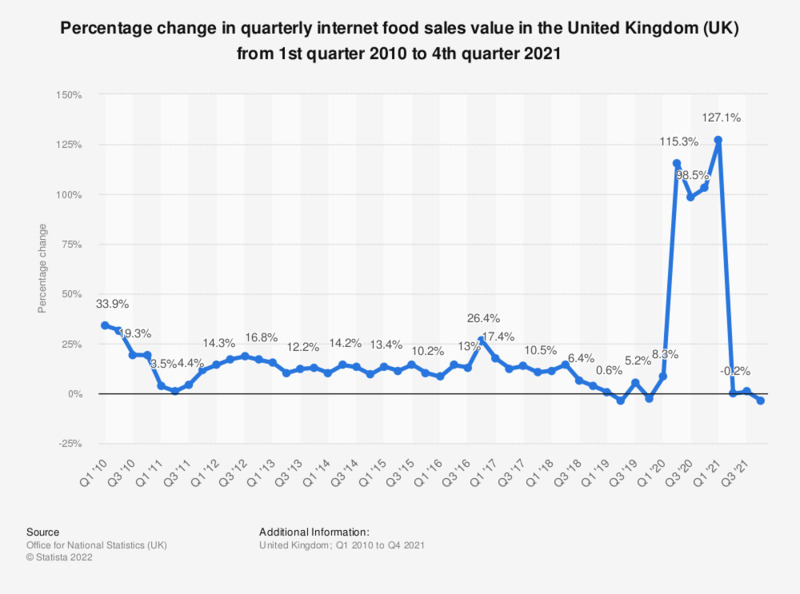 This statistic displays the quarterly trend in the value of retail internet food sales in the United Kingdom (UK) from quarter one 2010 to quarter four 2017. In quarter three 2017, internet food retail sales were up 14.1 percent on the same period in the previous year. Data for the most recent quarter should be considered provisional. Includes retail food sales at "predominantly food stores."